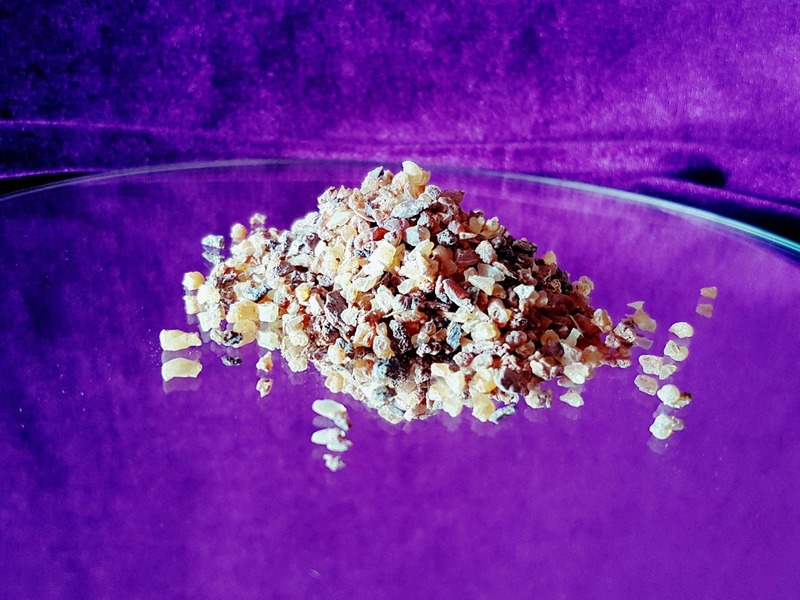 *With its smoky, earthy scent, myrrh has a long history as a favorite among all cultures going back to its first discovery in the far reaches of time. A native to Ethiopia and Somalia, it has been used as long ago as 3000 BCE by the Egyptians in embalming, and as an incense burned during cremations and funerals to disguise any foul odors up through the 15th century. Myrrh is said to be one of the key ingredients in the mythical Egyptian perfume Kyphi. It has also been used to anoint kings, and scent fabrics for those traveling to holy places. Myrrh has had a great value throughout time; the Romans even valued it as much as gold, using it as security for monetary debts. *used for healing and attraction as well, and is associated with feminine powers. *to create an atmosphere that is capable of bringing demons into the room.